A grainy, shaky video appeared to show a mob of shouting protesters throwing paint and other objects at a shop in London’s East End. For a moment I thought it was a race hate crime. It reminded me of those pictures of the famous Cable Street riots in the 1930s… when anti-fascist protesters clashed with police over Oswald Mosley’s Black Shirts. And then I wondered if it was some kind of joke or stealth marketing event. You know, one of those spontaneous ‘flash mob’ happenings where people turn up at a railway station and start dancing to Gangnam Style or Rick Astley. This was the front line of London’s Class War struggle. A bunch of ‘anarchists’ had attacked the Cereal Killer Café in Shoreditch. While children and adults were trapped inside, the mob hurled abuse, bottles and red paint. If you don’t know it already, the Cereal Killer café is a café that sells… well, cereals. Run by two bearded twin brothers from Belfast, it charges £4 per bowl, which protesters say is a sign of gentrification – an invasion of the sort of businesses and product that locals couldn’t afford. They ignored the Pret-a-Manger and Starbucks chains a few 100 metres away. Instead they attacked a couple of hipsters who have created a quirky, busy cafe selling cereals. What these pseudo-anarchist buffoons fail to understand is this café is keeping the area unique and staving off the big corporate chains that would love to get a stranglehold on Brick Lane. Costa and the other usual culprits? Why not even go to the heart of what they claim is the problem, and march into the City and confront the multinationals and banks? After all this is surely what’s driving the property prices and influx of wealthier Shoreditch residents? My hunch is that it was easy to attack and intimidate a tiny independent café. Which in my book is bullying. And like most bullies, they are ignorant and deeply insecure cowards who only act when part of a mob to back them up. Look, it doesn’t really matter whether you’d actually go and buy a bowl of cereal in that cafe. But you have to admire the Keeley brothers. Despite the puntastic name, this is a friendly, quirky business created by two regular people who have hit on a brilliant and unusual niche idea. It’s everything I would recommend for What Really Makes Money readers. It shows that there are still simply do-it-yourself business ideas out there that can grab the imagination. Just an idea and a desire to follow through with it. Like all good business ideas, its uniqueness made it stand out from the usual chain stores and independent cafes. It got a ridiculous amounts of free press coverage since the day it open. It was all over Twitter and Facebook. Analysed and mulled over in the broadsheets. In every article the twins were there, staring out from a wall of colourful cereals. I can’t imagine they’ve spent much money on advertising! Because make no mistake, despite the controversy (maybe even because of it) people are still queuing round the block to get their £4 bowls of cereal. They’re in profit and have opened a second branch in Camden. There’s also something else worth considering about this story. Ideas, technological trends, fashions, businesses and cities grow and evolve, then eventually change again. And while the anarchists might try and attack the symptoms of this truth, the truth remains. You can either go with or fight it. It is often creatives and artists who move to run-down areas such as Brick Lane because they are unable to afford rents elsewhere. It allows them to flourish. What happens next is that area becomes considered ‘hip’, so other non-creatives want to live there too. That’s when the property developers move in, sensing an opportunity. A lot of artists were being pushed out to Hoxton… in turn they had to move to Hackney… then Walthamstow. Now I believe Forest Gate is the place to watch. London’s unstoppable evolution mean these places will eventually – given the right conditions – become ‘gentrified’. But what do people really mean by ‘gentrification’? Despite the Victorian sound of the word, it’s a way of describing an influx of money into an area. This money finds its way into the community through increased demand for more products and services. And because of this, new businesses will spring up. If you’re lucky, you’ll get quirky independently owned businesses like The Cereal Killer café… or you might end up with an identikit high street of corporate chain stores. The hipster enterprise should be copied! Authentic personality – these are two real guys, easily distinguishable (apart from the beards! ), with attitude and vision. They’ve put themselves right in the centre of their business, giving it a distinct personality. Customers know these two are for real. This is clearly not a corporate venture. Uniqueness – nobody else was selling cereals from around the world on the High Street in London, so this immediately stood out. Talking Point – the uniqueness and quirkiness of the idea meant that most of the publicity was done for them through people debating, mocking and championing the idea on social media and in the press. The same goes for your business – don’t consider yourself as automatically inferior to the big players because you’re small and not the slickest. In fact your independence can be played to your advantage. Artisan Megatrend – the Cereal Café taps into a trend that has seen booms in all kinds of everyday food and craft hobbies. Niches like cheese, wine, coffee, whisky, gin, charcuterie, vintage bikes, knitting, crochet, paper craft, woodcrafts and upcycling. Do you have any guilty pleasures like a love of cereal or collecting toys? Is there a gap in your local market? Is there a website you’d love to see exist but doesn’t yet? Memorabilia Sells – the Cereal Café also taps into nostalgia by decorating its interior with 90s memorabilia. The new Camden branch has beds with Teenage Mutant Ninja Turtle covers! This is another great marketplace to look at… think about vintage toys, posters, keyrings, beermats, postcards… or target specific time-periods for popular culture: 70s glam, 90s rave, 50s rock and roll, 60s mod… or perhaps classic kids TV, sci-fi, Dr Who or cult horror. Information products – once you have even a moderately successful business, you can branch out into information products. The guys behind Cereal Killer and now about to bring out a cookbook with cereal-based recipes. 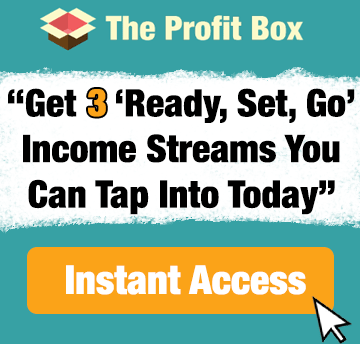 A whole new income stream awaits!